YOU CAN HAVE FUN AT WORK AND ACHIEVE PERSONAL FREEDOM! Whether your dream is to enjoy a four-hour work week or you love the 80-hour hustle, your definition of freedom is what’s right for you. No matter how you define happiness, there are basic planning and organization skills that must be in place to achieve your goals. You can enjoy your work rather than becoming a slave to it. No more incomplete projects and unfulfilled dreams if you follow some simple steps. 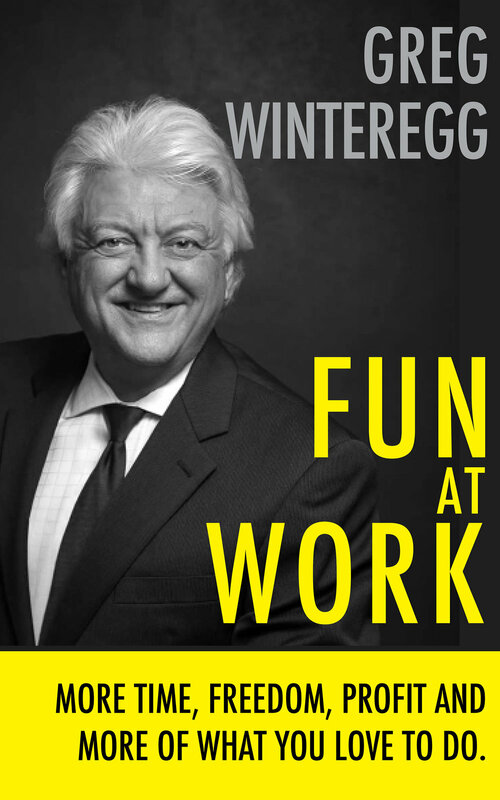 In his book, Fun at Work, Greg Winteregg teaches you how to enjoy your business and your life. By reading this, you will learn the precise philosophy Greg has used to get where he is, what it takes to make your time your own, make the MONEY you want to make while staying true to your ultimate purpose and goals. — Mike Kaplan, Amazon best-selling author of Secrets of a Master Closer.